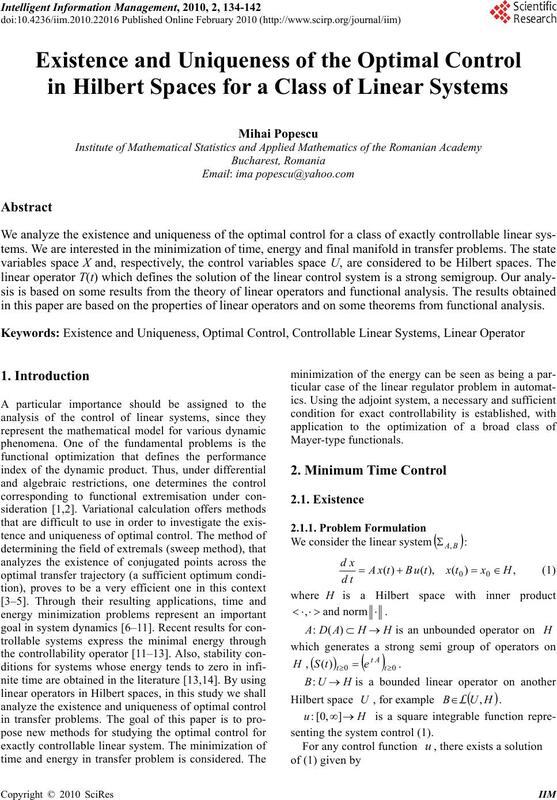 in this paper are based on the properties of linear operators and on some theorems from functional analysis. Hilbert space , for example . senting the system control (1). then, is a weakly compact closed convex set. 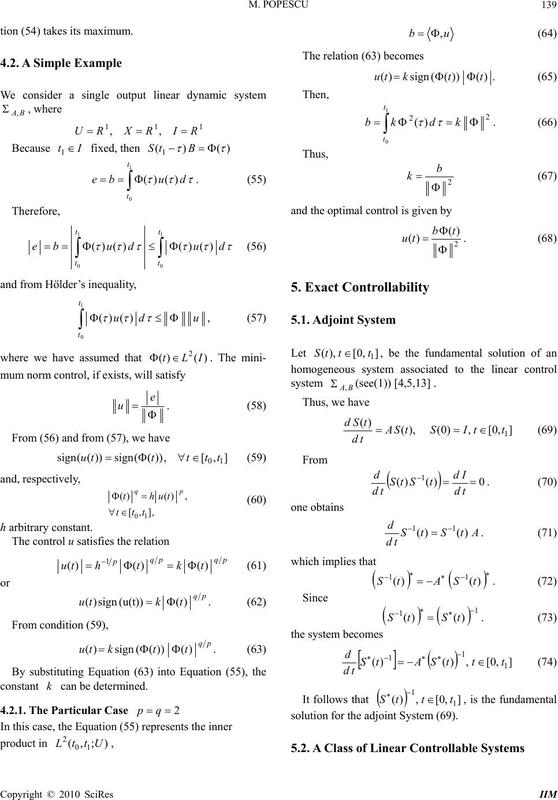 and, hence, is the optimal control.  be its boundary . verse implication is not true. which ends the proof of the uniqueness. theorem), it follows that . The proof of Proposition 1 is given in [10,11]. 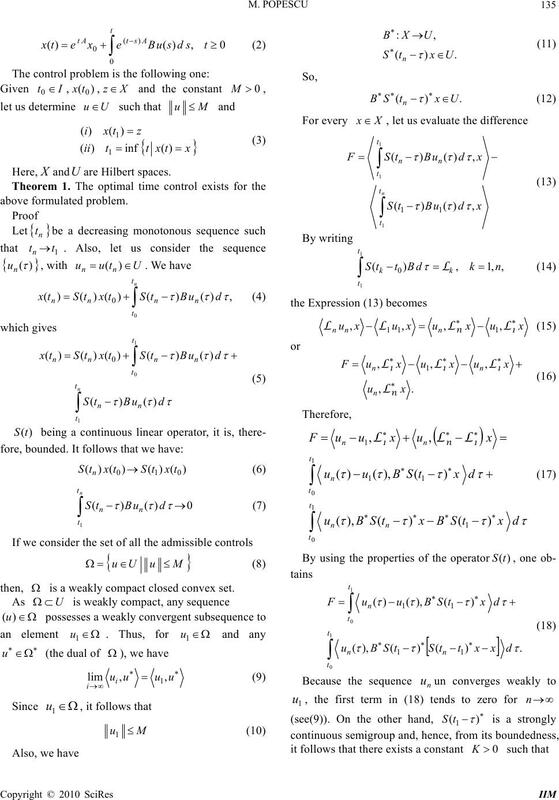 Equation (48) is also true. tion (54) takes its maximum. solution for the adjoint System (69). tem (75) which corresponds to the control . trajectory corresponding to system (75). The identity has been demonstrated. “” We assume that is exactly controllable. follows that transfers 0 in for the system . ble system in which substitutes . The direct implication has been demonstrated. ” We assume that condition (90) is fulfilled. ( is solution of ). 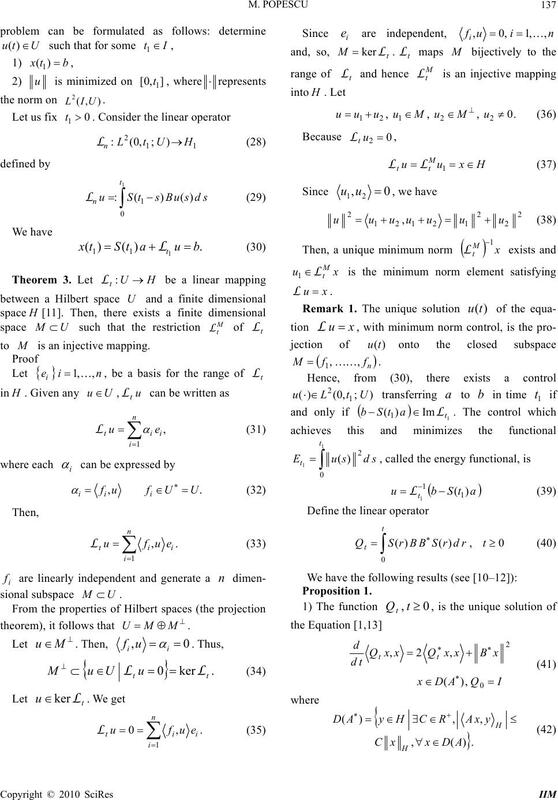 problem (Subsections 5.1 and 5.3). 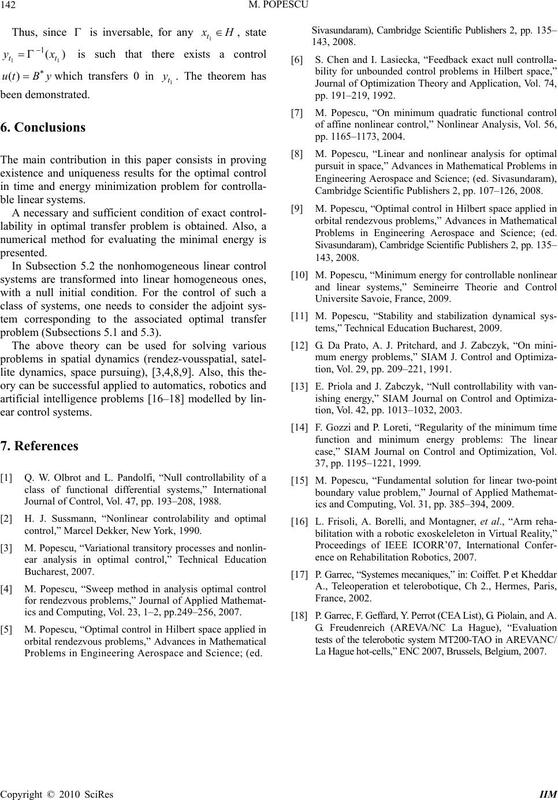 Journal of Control, Vol. 47, pp. 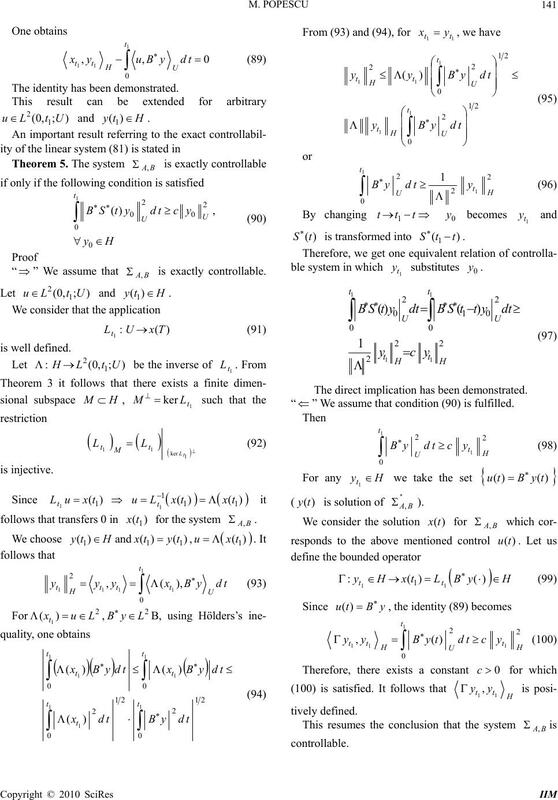 193–208, 1988.
control,” Marcel Dekker, New York, 1990.
ics and Computing, Vol. 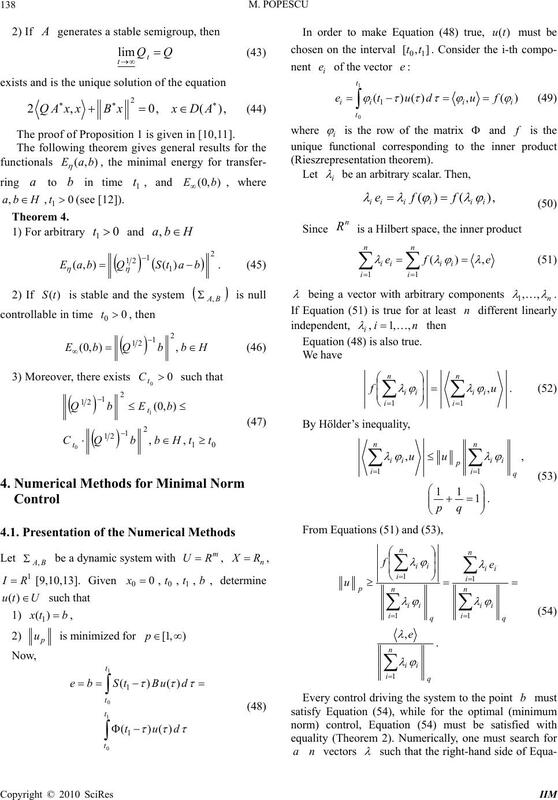 23, 1–2, pp.249–256, 2007. 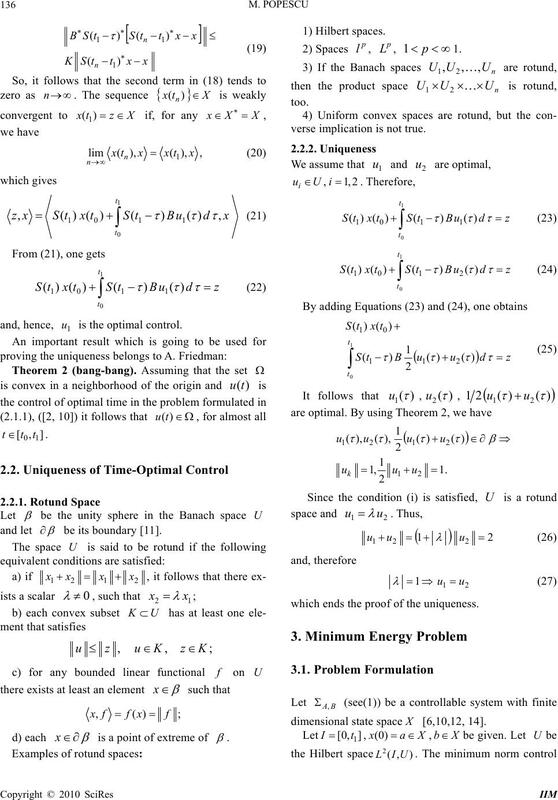 Problems in Engineering Aerospace and Science; (ed. Cambridge Scientific Publishers 2, pp. 107–126, 2008.
tems,” Technical Education Bucharest, 2009.
tion, Vol. 29, pp. 209–221, 1991.
tion, Vol. 42, pp. 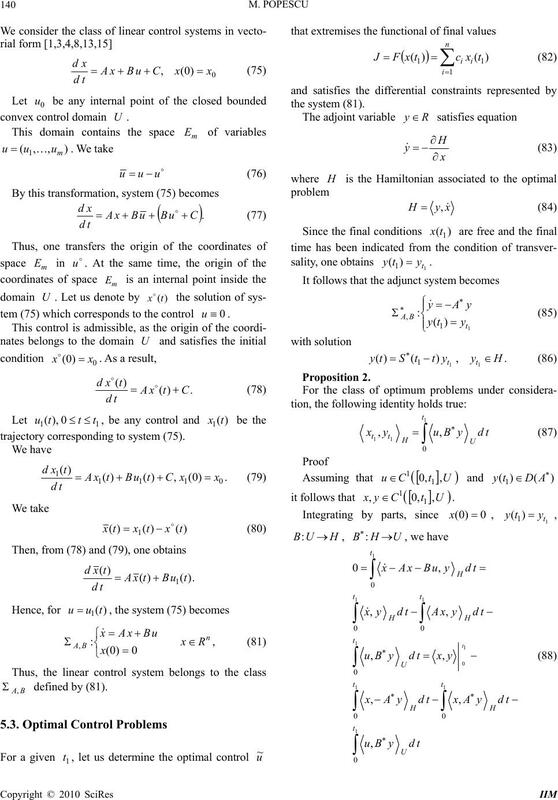 1013–1032, 2003.
case,” SIAM Journal on Control and Optimization, Vol. ics and Computing, Vol. 31, pp. 385–394, 2009.
ence on Rehabilitation Robotics, 2007. P. Garrec, F. Geffard, Y. Perrot (CEA List), G. Piolain, and A. La Hague hot-cells,” ENC 2007, Brussels, Belgium, 2007.